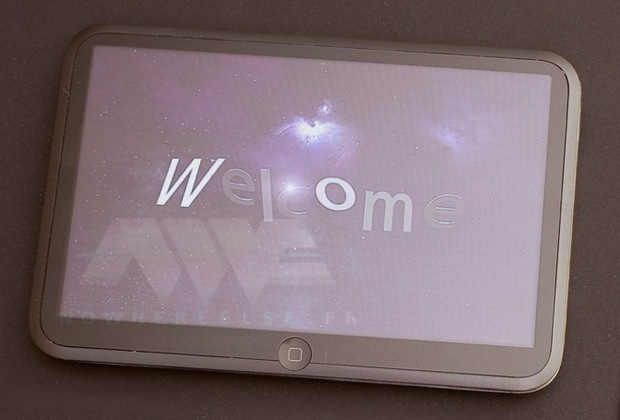 The first rumor spy shot on the menu today is this Apple tablet (above) from some doofus French blog not even worth mentioning. 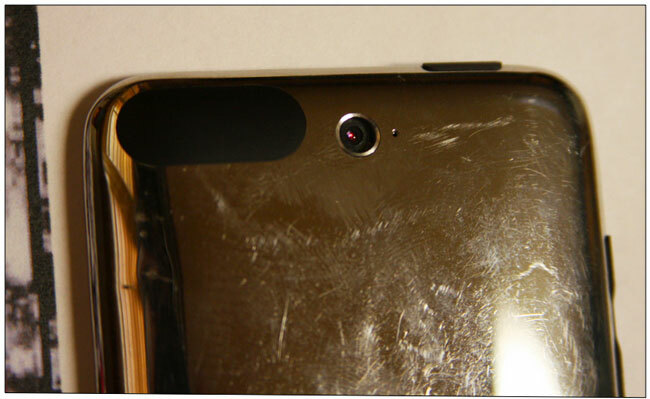 The faked iTablet attempt is wrong on several levels including the home button cutting into the bezel. A certified Apple Bozo no-no. The main course is a ridiculous leak of a different kind discovered on a Borders Books marketing survey aimed at customers using Digital Reading Devices. The company includes an accidental (deliberate) insertion of something they're calling an IPAD (large screen Apple reading device). 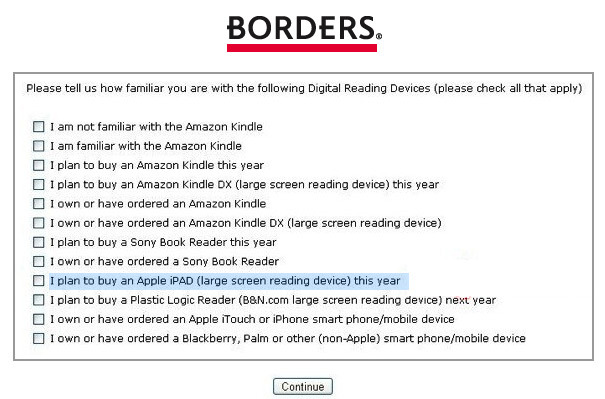 So what does borders know that you don't?